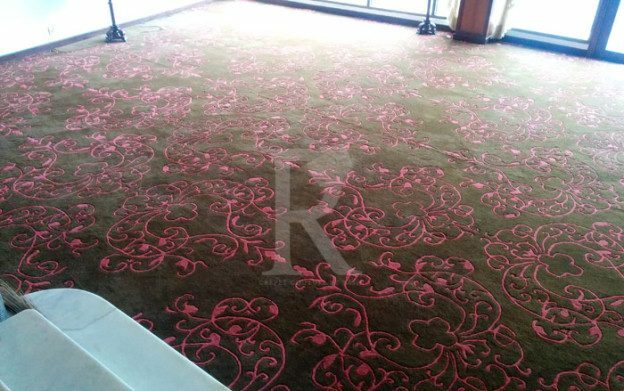 This entry was posted in Carpets and tagged wall to wall carpet, wall to wall carpet designs, wall to wall carpet india, wall to wall carpet manufacturer india, wall to wall carpets, Wall to wall carpets manufacturers, wall to wall rugs on March 14, 2019 by admin. Kid’s safety issues begin once you find them climbing out of their cribs or by and large when the curious little ones reveal that they are longing for their very own freedom. Crawling Babies tend to spend a lot of time on the floor; thus you are required to always watch out for their safety and well-being. You just need to follow every little move of theirs; and pick the appropriate flooring for the nursery- a wall to wall fitted carpet gives your beautiful little ones their much desired freedom to explore about. Wall to wall carpets are ideal for kids’ rooms as they are not only soft, but they also cushion every fall of your struggling crawler who keeps tumbling every now and then as he learns to walk. Wall to wall option offers not just safety to your precious little in a big space but is also a budget friendly option, no wonder that it is a popular choice of parents. So don’t be confused about carpeting your kids’ room, go for a wall to wall carpet for ensuring you kids’ safety. Understandably, carpets create traction, which minimizes slipping/falling accidents. It’s essentially a big stress relief for worried parents who are constantly apprehensive about their toddler’s accidental falls. Moreover, wall to wall rugs are also ideal for the kids to sit upon and have fun. Furthermore, theses carpets come in a wide range of colors, styles and textures and are a great value ad to your kids’ room, offering one of the best floor covering resources that maintain the air quality. You can choose wall to wall carpets which are beautiful and have useful designs which can alter your kids’ general room decor. The total character may become more interesting, colourful and lovelier using some interesting kids themes.